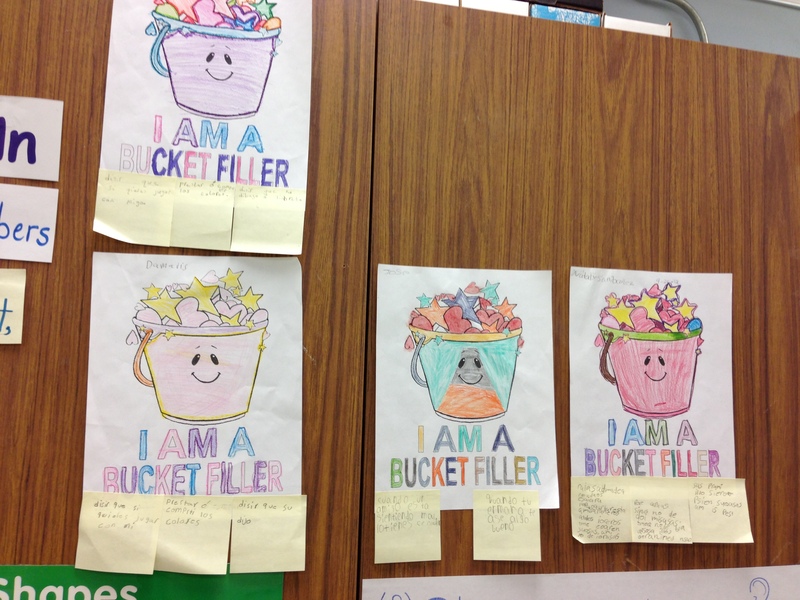 Linder Elementary filled a whole bunch of buckets this week during STAAR testing! Primary teachers, students and staff showed empathy for the intermediate students and teachers that tested this week by “adopting” a class and showing them love and support in many creative ways. These bucket fillers gave out goodie bags to those that were testing and hung posters with words of encouragement to acknowledge all of the hard work their fellow students and colleagues have done this year. Thank you Linder Elementary for leading the way to our next tip in the compassionate educator series! “One of our important needs is empathy. To meet this need and to increase student-to-student connections in your classroom, consider organizing an empathy buddy system that students could be part of. “Learning is not the only need that students bring to school. They also bring their needs for belonging, fun, freedom and contribution. Unless these needs are acknowledged and met, students will not feel safe enough to fully engage in the learning process. Create a needs inventory with your students — a list of all the needs they bring with them to school. 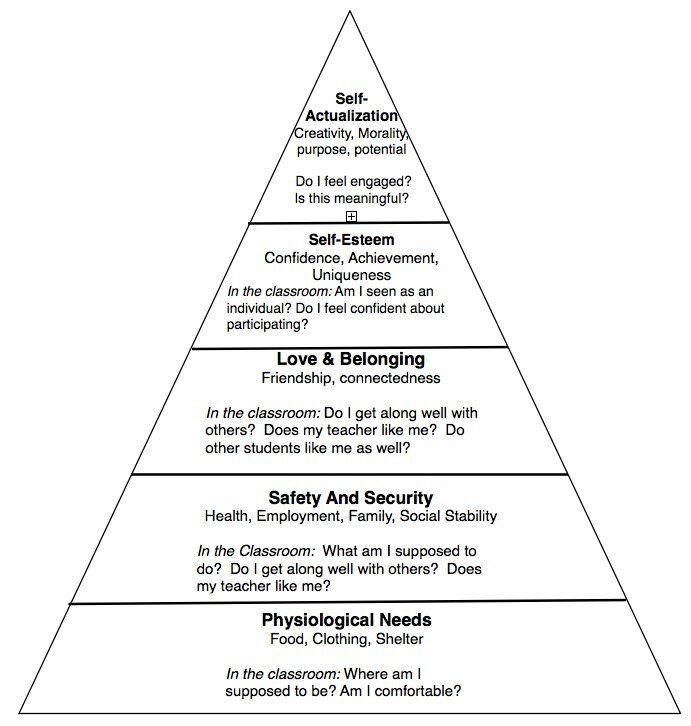 At least once a week, ask everyone to look at the list and express how well their needs are being met at school. Click on this link for an insight into what your students may be seeking in the classroom! “A wide-ranging feelings vocabulary provides deeper self-connection and an enhanced ability to express yourself to others. These skills can strengthen compassion in any learning environment. Help your students enhance their feelings vocabulary. With your students, make a list of feeling words, and try adding a new word a day for as many days as you can. Put your feelings vocabulary in a prominent place in your classroom. 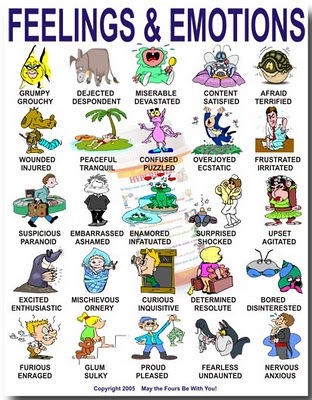 A poster with visuals of different feelings helps students identify and label their emotions. Check out this list of feelings and emotions you can hand out to your students! “Body language can convey whether we are speaking from a “power over” or “power with” perspective. What is your body language with your students? What is your body language communicating? Regardless of how short a child is, to convey that we want to speak with them from a “power with” perspective, we can squat or sit down to talk with them eye-to-eye. We can invite students who are taller than we are to sit down so that we can talk eye-to-eye with them, as well. Here are some tips from the NEA website on how body language can help teachers establish a good rapport with their students! 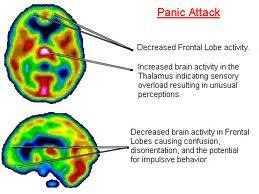 “The emotional center of the brain is so powerful that negative emotions such as hostility, anger, fear and anxiety automatically downshift the brain to basic survival thinking. Imagine the impact on student learning in an environment dominated by academic or social pressures, threats of punishment, or peer hostility. In such an environment, the reasoning center of the brain shuts down and students automatically prepare to flee, fight, or freeze in our tracks. The brain is so thoroughly preoccupied with survival needs that students are literally unavailable for the complex activities of the mind that learning requires. Their curiosity, wonder, and ability to focus are usurped by a state of heightened vigilance and an immediate need for protection and security.